The MLB schedulers stacked the beginning of the season with division games, as the Reds (1-4), looking to snap a four-game losing streak, will head to PNC Park in Pittsburgh to face the Pirates (1-3) for the second time in a week. First pitch will be at 7:05 ET. 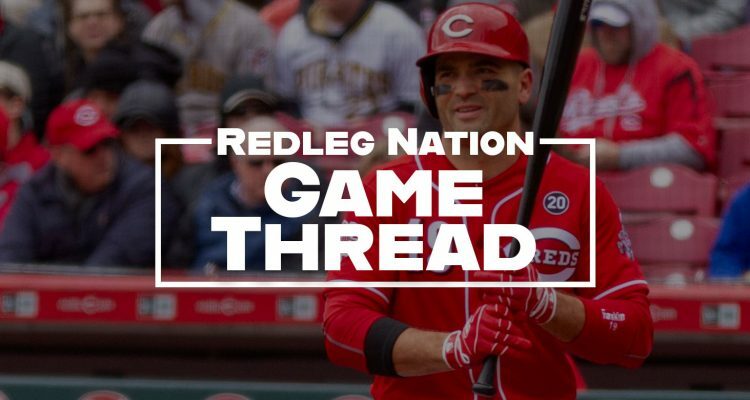 Tyler Mahle makes his 2019 debut against a Pirates team that lost back-to-back home games against the St. Louis Cardinals after splitting a shortened opening series with the Reds. For most of spring training, Mahle didn’t even know if he would make the major league roster for Opening Day. It looked like he was going to be the odd man out, even if he did have an excellent camp (7 runs in 14.1 IP with 16 strikeouts and two walks). But when Alex Wood went down with back problems, Mahle was the next pitcher in line. He’ll get a couple of starts as it looks like Wood will be out at least through April. Mahle gets a chance to continue his breakout rookie season from a year ago. In 2018, he pitched 112.0 innings in 23 starts, giving up 62 earned runs. He walked 53 and struck out 110. June was his best month, as he had a 2.18 ERA and a 3.74 FIP in 33.0 innings. The Reds shut him down in September. Mahle throws four pitches, relying heavily on his four-seam fastball. He throws his slider about 20.4% of the time, and his change-up after that. He very rarely throws his curveball. Of the Pirates hitters, Corey Dickerson has two home runs off Mahle and Starling Marte is 6-for-12 with two doubles against him. After stints with both the Padres and the Brewers last season, Jordan Lyles elected free agency and signed a one-year deal with the Pirates in the off season. He’ll also make his 2019 debut tonight after a pedestrian 2018. He pitched the majority of the season with the Padres, giving up 34 earned runs in 71.1 innings. He also surrendered 12 home runs in those innings. In August, the Brewers claimed him off waivers and he finished the season with some of the best performances of his career, albeit in a small sample size. In 16.1 innings, he had a 3.31 ERA and a 2.49 FIP, while allowing zero home runs and nine walks. Lyles started the season on the injured list with right side discomfort (retroactive to March 25), but was activated today for tonight’s start. Lyles throws five pitches in total, but relies mainly on his four-seam fastball and his curveball. Once in awhile, he’ll throw in a sinker and a change up. Tonight could be the night the Reds bats heat up. Six players on the 25-man roster have an OPS over .900 against Lyles. Joey Votto has two home runs off him, and Yasiel Puig is 5-for-15 against him. -The Pirates placed Corey Dickerson on the injured list with a posterior right shoulder strain. The Reds won’t face him at all this series. 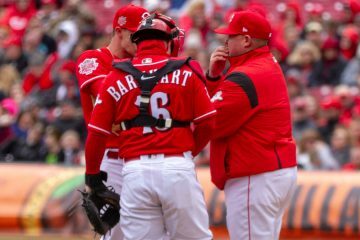 -From yesterday’s game: In 15 seasons at GABP, there have been only 23 1-0 games. 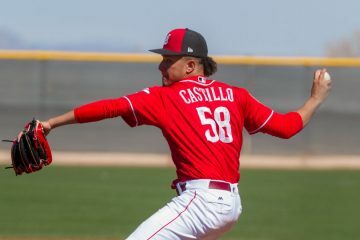 Luis Castillo has had some bad luck when it comes to run support. -It’s Opening Day for minor league teams! All Reds affiliates except the rookie-level teams play tonight. The road to the show begins tonight! Best of luck to our #RedsMiLB teams in 2019! To put it into perspective how early it is in the season, the Houston Astros–a team many think could win the World Series this year–are 2-5 to start 2019. The defending World Series champion Boston Red Sox are 1-5. Both of those teams are expected to make the playoffs. Realistically, the Reds won’t make the playoffs (my prediction was a .500 finish), even as much as we want them to. However, the team needed to get off to a fast start, given the off season moves and the general apathy of the fan base the last few years. This is why there is much overreaction towards the team’s poor performance in the first five games. Nevertheless, the Reds have an opportunity to win some games with this upcoming Pirates series followed by a home series against the Miami Marlins. We might know a little more about our beloved Redlegs after the next seven games. Good Luck Bats and others. Here comes a reasonable explanation of the Reds for the next 7 games. On a side note, evidently the Tigers are going to the World Series, due to their early record. quiet here, maybe everyone is making good on their threats to stop watching. Mahle doing great. Hits comming, but now they just got to link them together. Reminder: Spring record has zero connection to how a team starts a season. @Matt, yeah super quite tonight. Maybe its because I live over 2000 miles away but I don’t see the reason for the pessimism. They still are a 500% team, and with a little luck they should be a fun team to watch. Big strike zone tonight. Making it easier to pitch well. And get through a game before the rain (or cold) gets too intense. And Tulowitzki to the IL in NYC. That didn’t take long. I feel sorry for Tulo but not the Yankees. Always sad when a players body just won’t let them perform any longer. How long will this losing streak go? I say 8. I guess this team is playing where they’ve belonged for the past 4 seasons which is last place. The Reds roll out there George Jones offense again. As in George “No Show” Jones for the young uns. I actually heard some wooooing going on at the Pittsburg game. No-show Jones. Does that mean that the Reds hitters are all driving their lawn mowers to the bar for a few bracing drinks prior to each game? Explains a lot. Hey its early. The boys could never go 3-15 and get buried by Easter. Oh wait? So your looking for them to win 2 more by Easter ? Holy Cow. What a bunch of stiffs. Crying emoji didn’t work – that’s what T_T was supposed to be. Yes- winker and Schebler haven’t answered the bell. But Joey votto is hitting .188 with no HR and is being paid to lead this offense. Puig is hitting .150 with no HR… Kemp 10 mil + and 1 single. Reds need a rally or 3 shutouts in 6 games. That’s historic offensive ineptitude. This team desperately needs a psychologist. Almost everyone started sleepwalking in the second game of the season, and almost everyone’s body language looks terrible. Maybe it’s time for Lorenzen to concentrate more on the pitching. Maybe it’s time to move Votto back to the #3 hole. Management atleast shook things up. I’ll give that much. This team will score some runs eventually, but they’re going to have to draft some difference makers at some point? Suarez & Castillo came in trades. They fell into Scooter. I suspect they’ll try to keep Puig? There just isn’t close to enough homegrown guys making a difference? Winker, Senzel, Garrett, Mahle, Stephenson, etc…..they should playing as much as possible. There is no point in playing Kemp. I’d try Lorenzen as a regular? He can’t pitch for squat? Desperate times require desperate measures. It was a decent trade for the Reds with the Dodgers. Doubtful that the Dodgers miss Puig and Kemp at all. Dodgers OF has 8 HR’s already. At least the Reds pitching isn’t a complete disaster so far. That is 19 straight innings without scoring a run. Well, there’s always tomorrow. And the day after that, too. Chin up. Something will happen. Much has been made of Wandy Peralta’s one good month. It’s time to start asking when was Lorenzen last good at pitching? Love the guy…the story… The possibilities … But if he can’t pitch and get guys out , well nothing else matters… He’s just an interesting guy who doesn’t succeed at anything. The Good: Tyler Mahle, making ‘what will happen when Alex Wood comes back’ a real question with that start. Wandy peralta, Embrace the LOOGY Role. Hey, he is pitching better then Lorenzen. The Bats. Solid hits….but……. The Bad: The Bats….trying to link 3 or more hits together looks like an impossibility. Micheal Lorenzen is a joke at this point, even I want BobSteve in clutch situations more than him. Kyle Farmer dude just needs to go down to AAA. 13 Pitchers….its not working. Anyone who wants Kemp sitting is an idiot. WInker is not outproducing him right now. Make it a horse race. For the ‘he needs to develop crowd, That is what AAA is for. Some of the bats are here, others are comming, Mid May will look nothing like it does now. Kemp has been so impressive. Clearly deserves to start. People that don’t agree with me are idiots. Winker has been so impressive. I am so the fan base wants his 1 hit season, with options available to start without any consideration for the fact that he is sucking. Next time, read what I actually type. I said that they should be given equal time, in order to force competition to force one of them to break out. No reason Kemp should ride the bench every day when winker is getting a 1 hit every 5 games. Well Kemp will be 5 years retired by the time the Reds are any good. Or 10? Or dead from natural causes at 97. Winker is 25 or whatever and needs to play. ANd Winker can play every day….. for the Bats. Because winker is winning races? Producing Gold glove Defense? didn’t think so. The reds FO did not make all the trades over the Offseason to put together a losing team. If Winker can hit AAA pitching and not MLB Pitching then i guess he is a AAAA player. Lorenzen needs to figure out what he is and quickly. Your statement that you don’t care that they whether or not they win makes this argument moot. Looks like the farm isn’t having any more success the Reds.